Honestly YA: Ten authors, One love. 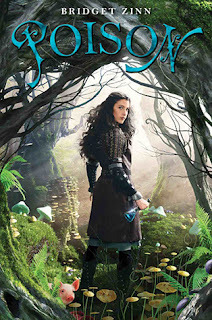 : A release day giveaway for POISON, by Bridget Zinn! A release day giveaway for POISON, by Bridget Zinn! Happy Tuesday, readers! We have a special post for you today, one to celebrate a talented author who was taken too soon from this earth and sadly isn't here to see the release of her debut novel. It was Bridget's dream to share her story with others, and I hope you'll join us in launching POISON, which is available today from Disney Hyperion. Sixteen-year-old Kyra, a highly-skilled potions master, is the only one who knows her kingdom is on the verge of destruction—which means she's the only one who can save it. Faced with no other choice, Kyra decides to do what she does best: poison the kingdom's future ruler, who also happens to be her former best friend. Now a fugitive instead of a hero, Kyra is caught in a game of hide-and-seek with the king's army and her potioner ex-boyfriend, Hal. At least she's not alone. She's armed with her vital potions, a too-cute pig, and Fred, the charming adventurer she can't stop thinking about. Kyra is determined to get herself a second chance (at murder), but will she be able to find and defeat the princess before Hal and the army find her? Kyra is not your typical murderer, and she's certainly no damsel-in-distress—she's the lovable and quick-witted hero of this romantic novel that has all the right ingredients to make teen girls swoon. And please add it to your Goodreads list, too! Bridget grew up in Wisconsin. She went to the county fair where she met the love of her life, Barrett Dowell. They got married right before she went in for exploratory surgery which revealed she had colon cancer. They christened that summer the "summer of love" and the two celebrated with several more weddings. Bridget continued to read and write until the day she died. Her last tweet was "Sunshine and a brand new book. Perfect." Bridget wanted to make people laugh and hoped readers would enjoy spending time with the characters she created. As a librarian/writer she loved books with strong young women with aspirations. She also felt teens needed more humorous reads. She really wanted to write a book with pockets of warmth and happiness and hoped that her readers' copies would show the watermarks of many bath time reads. 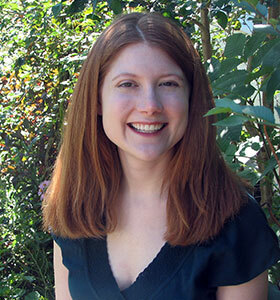 From all of us at Honestly YA, congratulations, Bridget! 2. Provide your email address so we can contact you if you win. The giveaway ends Thursday, March 14th at 5pm EST. At that time, we'll assign each comment a number and use random.org to select the winner. By entering this giveaway, you agree to the terms set forth on our "contest disclaimer" page. POISON does sound amazing! But knowing that this author didn't get to experience the launch of her debut novel is devastating. Such a sad story. I tweeted to help get other bloggers involved. Bridget's story really touched me. It's such a tragedy to lose someone so young to colon cancer. I've already got a copy of Poison and have been helping to spread the world on my Poison: Bridget Zinn story + Giveaway post. Poison's amazing, it's so sad that it sold in a two book deal but we'll never get to read the second. Bridget's writing is so stellar. Such a sad story. Just goes to show that cancer doesn't care about your age, gender or events that are transpiring in your life. But POISON looks and sounds awesome. I want to amend something the blog poster said, in that Mrs. Zinn is here--she is in her book and the characters therein, and she is watching from above jumping for joy! As a lover of YA books - I collect ones I really enjoy - and I spread the word to other teachers and teens I know, along with giving copies as gifts. Bridget's last book and her personal story are both happy and sad. Spreading the news about Bridget and her writing,is my way of honoring her and her work..and this way, the world will remember her. She is a mentor to all of us on living our lives. It does sound like a wonderful book. I missed release day by a bit but am spreading the word now :) It was wonderful of yall to join together to get the word out about Bridget and her debut! Did you miss ALIENATED's cover reveal?